Texas CG | Lubbock, Texas | Welcome, Bailey Thomas! Texas Communities Group has a new member! Bailey Thomas is the new Administrative Director for TCG. Bailey is a Junior at Texas Tech University, where she is studying Marketing at the Rawls College of Business. Having been raised as a cotton farmers daughter, Bailey was born and raised in West Texas. 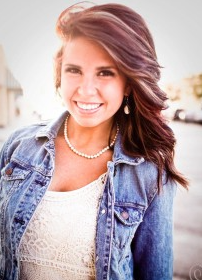 Previously, she worked for Bahama Bucks Franchise Corporation as a Marketing Director Assistant. Bailey signed on with TCG in February of 2015. We are looking forward to having Bailey on our team!